As scary as spiders? More feared than death? Well, research suggests that the fear of public speaking ‘glossophobia’ does in fact rank within the same fear categories as both spiders and death. It doesn’t surprise me, because this is something I have experienced throughout both my academic and to some extent in my working life, so I can relate to anyone who has like me avoided being in the public spotlight through fear itself. 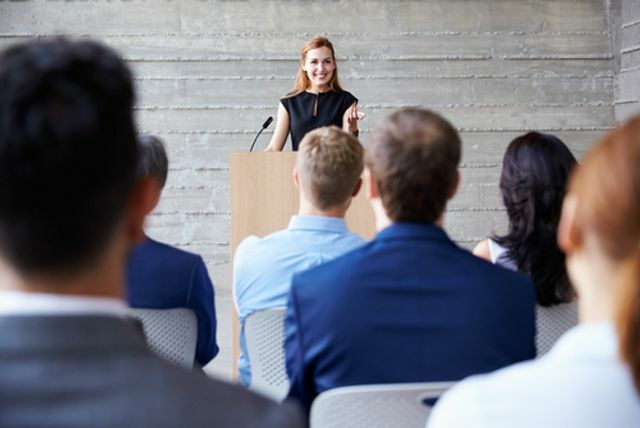 However, public speaking is often seen as a vital part within most leadership roles. Even the most seasoned CEOs can find public speaking frightening, or at best, uncomfortable. The most common issue that CEOs have to overcome with public speaking is overcoming their nerves.